On September 19th, Sarasota residents were celebrating Yom Kippur – the day of atonement after the Jewish New Year, Rosh Hashanah. On this holiday, Jews ask God for forgiveness of their sins. It is also typical to fast from sundown to sundown the next day. On the evening of September 19th, a break-fast meal is prepared. 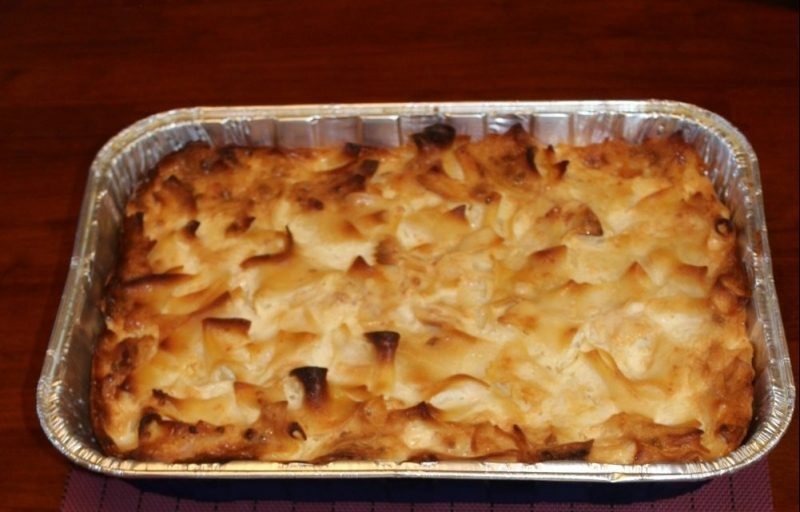 This typically consists of bagels, lox, cream cheese and kugel. 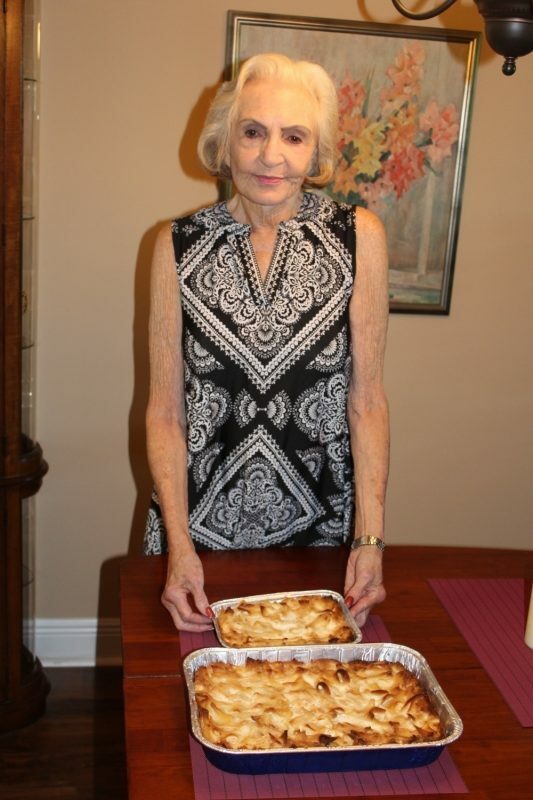 Each year, resident of The Fountains at Lake Pointe Woods, Mollie Lafferman, prepares her kugel recipe to share at Temple Emanu-El for the congregation’s Break-the-Fast. 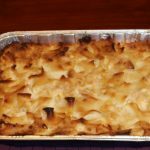 The Fountains at Lake Pointe Woods also prepares a special meal for Jewish residents consisting of brisket, roast chicken, latkes, smoked salmon and bagels. Bring a large pot of lightly salted water to a boil. Add pasta and cook for 8 to 10 minutes or until al dente. Drain noodles and transfer to a large bowl. To the bowl, add sour cream, cottage cheese, eggs and sugar. Dried fruits and cinnamon can also be added to this mixture, if you choose. Melt butter and use to grease pan. Pour excess butter into noodle mixture. Transfer mixture to prepared baking dish. Melt butter and drizzle over the noodle mixture. Bake 30-40 minutes or until golden brown.